As mobile and IT industries evolve, mobile devices become more and more advanced and go further away from their initial purposes of just making calls and sending messages. The modern niche of mobile applications is as diverse right now as never before. And apart from numerous leisurely entertainment-focused solutions, there is also a bunch of highly useful portable assistants that can as much as save your life in an unprecedented situation. Thus, the market has seen the rise of healthcare apps (or mHealth apps) during recent years. Those help people with certain health conditions or those simply interested in tracking their physical or psychological state monitor most of the crucial vital tendencies and even conduct a diagnostics. In the article, we will discuss the reasons why this type of software became so popular as well as some aspects of its development. According to expert predictions, the digital health market is looking to get colossal 206 billion dollars in total earnings up to 2020, with the $79 billion mark recorded only in 2015. This alone can be a good enough reason to launch one’s authentic mobile product in the niche. Apps for Patients & General Public (Health condition management, Disease management, Medication reminders). Most mHealth apps are general wellness related (i.g. Fitness and Lifestyle apps). Nevertheless, the popularity of condition management apps is increasing rapidly. As a matter of fact, there took place invaluable cases of certain solutions saving human lives. For instance, a happy owner of an Apple Watch received a notification about unusually heightened pulse rates while at the mass in a church. A woman’s mother took timely measures and sent her daughter to the hospital where she was diagnosed with some serious kidneys issues that would cause a fatal outcome in a matter of days. A gadget’s built-in Heart Rate feature basically saved her life. 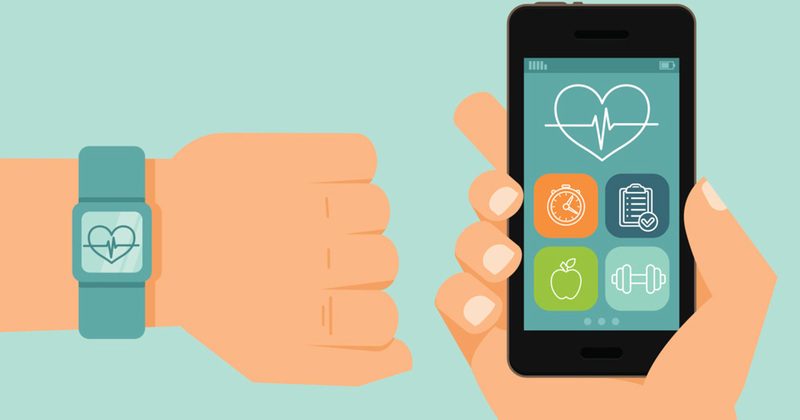 Surely, an app able to precisely measure one’s pulse isn’t by far among the most advanced capabilities the field of mobile development for healthcare can offer. Special notice in this aspect goes to the Heart Habit app, which helps to forestall a heart attack! In general, as you can see, those really caring for the state of their health can make an immeasurable use of such potentially life-saving applications. Below, we offer you to consider the key attributes your future solution in the niche must feature in order to make a decent competition on the market and provide users with the highest level of UX. Simple navigation. When we are talking about healthcare digital products, it’s important to understand that a huge chunk of target audience here are older people, disabled users, as well as users with the currently worsened state of health. Your primary responsibility is to provide the minimum number of steps a user has to take in order to implement a target action - be it a simple view of blood pressure or emergency call through an app. Intuitive interface. The same goes for the level of intuitivity of UI: every other new user should be able to reach the required app feature in 1-3 steps without looking up any tutorials. For that, you can employ a mega menu, pop-up hints, unlimited scrolling, interactive tiles, extended search, and other modern mobile design features. Personalization. Being part of such a special niche as healthcare, it is a must that your solution has a dedicated form for users to store their health parameters (age, weight, height, etc.). This data can be reached from Apple Health, Google Fit, Samsung Health, and other standard smartphone apps. The only thing you need to do is integrate HealthKit (for iOS) or Google Fit API (for Android) into your health app. Or you can implement your own form in the health app if for some reason there is no opportunity for integration. It also brings additional personalization to your software and increases its practical efficiency for particular target audience groups. Data security. All the user health state data stored in a solution must be utterly protected and secretive. For that, we’d recommend taking care of social media integration (registration through an SM profile). You can implement it with the help of a respective API (the thing is, API solutions are products of the best IT industry’s minds in the world, which minimizes risks of the data breach in the registration/login principles provided by these web services). As a health app category is closely related to patients' personal information you should pay attention to data protection law compliance. If your app is supposed to release on the US market, you should strictly follow the rules of the HIIPA (Health Insurance Portability and Accountability Act). The use and disclosure of sensitive health information in the EU are covered under the GDPR (General Data Protection Regulation). Push notifications. Push notifications will be a friendly reminder that can tell certain users when it’s time to take their medicine (which is especially important for those suffering a type one diabetes) or, for instance, measure pulse, pressure, blood sugar, etc. Geolocation. Last but not least, this here feature can be a real life-saver. Every healthcare app must have an emergency call feature. The geolocation-identifying API will allow a user to call up medics in the worst of conditions, just by pressing a button. These are the major features your solution must basically have. Going deeper into the subject, in the following paragraph, we’ll discuss more technical aspects and features to make your product get into the App Store and Google Play tops and acquire a high demand. Each year, the amount of information collected and stored digitally grows exponentially. Healthcare data is not an exception, of course. That’s why apps in this niche increasingly involve such a popular nowadays tech concept as Big Data. There can be defined several directions of its use that are extremely useful. Firstly, in cases of a necessary immediate aid when there are fatal risks at hand, medical centers’ employees can simply not get enough time to gather all the crucial patient readings at once. Thus, precious minutes or even hours are lost, which can lead to the gravest of consequences. In order to minimize this emergency need in collecting the crucial patient health info, development companies offer convenient software solution (both desktop and mobile) that collect all that data in real time and reliably store it for any case of emergency. Therefore, the important information can be accessed at once to the diagnosis and following treatment to be issued much faster. Another, not least relevant problem Big Data solutions can help resolve is the optimization of business center expenses. The lack of efficient automation as a number of services and patients grows calls for expanding the staff of specialists processing all the data. This means additional taxes, workspace organization expenses, and regular staff compensation costs. The human factor-related risks are also increased by that (a newly-hired nurse not yet completely adapted to a new workplace can easily confuse some records without giving it much notice). On the other hand, extensive automation, including in terms of mobile software, can bring some strict order into the daily workflow of the medical personnel. Lastly, Bit Data helps doctors to identify patients’ illnesses and critical conditions even before patients themselves notice particular issues. This is a privilege advanced solutions that also involve neural networks and artificial intelligence capabilities. Artificial intelligence appeared massively in software solutions literally several years ago and managed to cause some good ‘buzz’ in the world of IT. AI-based developments initially were able to complete quite primitive tasks (you may recall an amusing artificial intelligence test where the AI had to identify pictures with cupcakes alongside chihuahua photos). Nonetheless, with each year, platforms developed with self-learning capabilities acquire more and more knowledge, including medicinal expertise. This means that truly advanced implementations of the concept can efficiently help to detect serious diseases on initial stages, where the regular medicine is practically powerless. According to the reports of the American Cancer Society, the vast majority of studies conducted with the use of the older examination techniques - mammography, for example - weren’t sufficiently precise, showing that 50% of fully healthy women had breast cancer. In turn, the employment of artificial intelligence-powered techniques not only boost the diagnostics preciseness (up to 99%) but also makes the examination procedure much more affordable for patients as a whole. Another great advantage here is the fact that in order to involve AI-powered products in the development, programmers aren’t required to master the basics of medicine from scratch. Thus, there are currently AI platforms (e.g., IBM Watson) that have already completed a formal education on their own during several years and ‘possess’ all the necessary knowledge for efficiently and precisely diagnosing live patients. In particular, IBM Watson for Health employs pieces of knowledge extracted from thousands of medical books and shared by the leading professors of the planet. The platform is also able to match various health readings of a single patient - i.e., developers are already non-obliged to write algorithms for medical history gathering and issuing of a diagnosis as a whole. As such, healthcare solutions based on AI can optimize and rationalize medical activity, as well as boost the preciseness of medical conclusions up to more than impressive 99%. As you may know, many illnesses of our time require constant doctoral monitoring. This goes, primarily, for heart diseases as well as critical conditions provoked by serious injuries, burns, poisonings, etc. For this purpose, special medical trackers are used to help monitor vital readings of a patient’s internal organs’ state. Surely, a personal nurse for each dangerously ill patient is more of a utopian perspective. Advanced medical centers find a highly-efficient alternative solution in the IoT-based developments, which provide centralized management of all tracking devices. With the help of such devices, serious patients can be watched after remotely (their tracking device being connected to the global network). In theory, IoT-powered apps can save the lives of hundreds suffering from cardiac distress, diabetes, epilepsy, asthma, and other illnesses requiring a constant watch. For the implementation of systems based on the IoT such connection protocols as Bluetooth LE, Wi-Fi, Z-wave, ZigBee, and a couple of others are used. Remote doctoral consultations or telemedicine is among the most fast-growing healthcare segments nowadays. Such a solution can be especially demanded in cases where distance and time pose as critical factors for providing medical help. Up to date, products that exploit a complex of telemedicine technologies imply the use of the highly expensive, ultra-modern medical equipment. Nevertheless, we all hope that as mobile products grow in global popularity even more and AI-based platforms evolve, so the development costs can decrease in the future. Voiсe search is yet another life-saving feature for emergency situations. Nowadays, many smartphones support numerous voice commands and healthcare mobile apps shouldn’t neglect this capability as well (so that a patient is able to call up ambulance hands-free). Finally, a few words about chatbots. The concept has become something more than a virtual assistant like Siri, which is only able to support simple dialogues with users. Using the AI capabilities, modern medical solutions with chatbots can autonomously search for medicine alternatives, define how critical a patient’s state is, book doctor meetings, etc. - i.e., do all the things that previously required one to endure endless live queues. 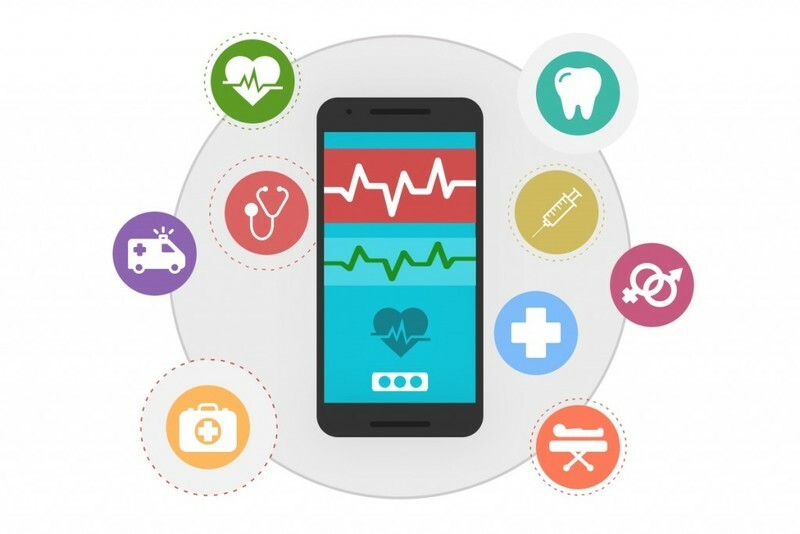 The mobile healthcare app development niche is extremely promising for involved developers, as more and more people tend to take their state of health in an earnest manner. We can help you implement a product that would really shine among the existing competition and show awesome scalability prospects. With a reasonable budget at hand and a top-notch expert approach, we’ll get you a solution worthy of global use for the real benefit of users.